Expected to ship on or about 05/23/19. An engaging portrait of America's forty-fourth president, this collection of thirty handsome illustrations and informative captions marks significant events in Obama's life. Learn about his experience his childhood in Hawaii, his education through Harvard Law School, marriage to Michelle, the birth of his children, Malia and Sasha, his nomination at the Democratic convention, and his historic victory as the first African-American president of the United States. A thoroughly entertaining and educational choice for colorists of every age! 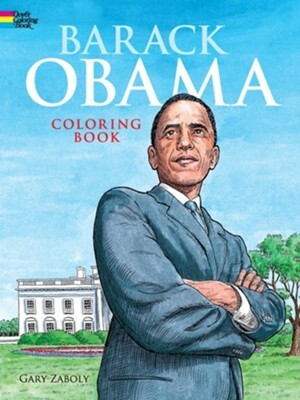 I'm the author/artist and I want to review Barack Obama Coloring Book Green Edition.